A 2km metro line, costing some US$250 million, will get built by 2024. 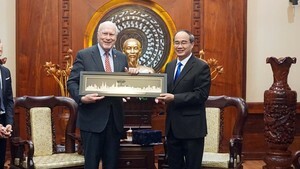 It connects Hoàng Văn Thụ Park in HCM City’s Tân Bình District with the Tân Sơn Nhất International Airport. 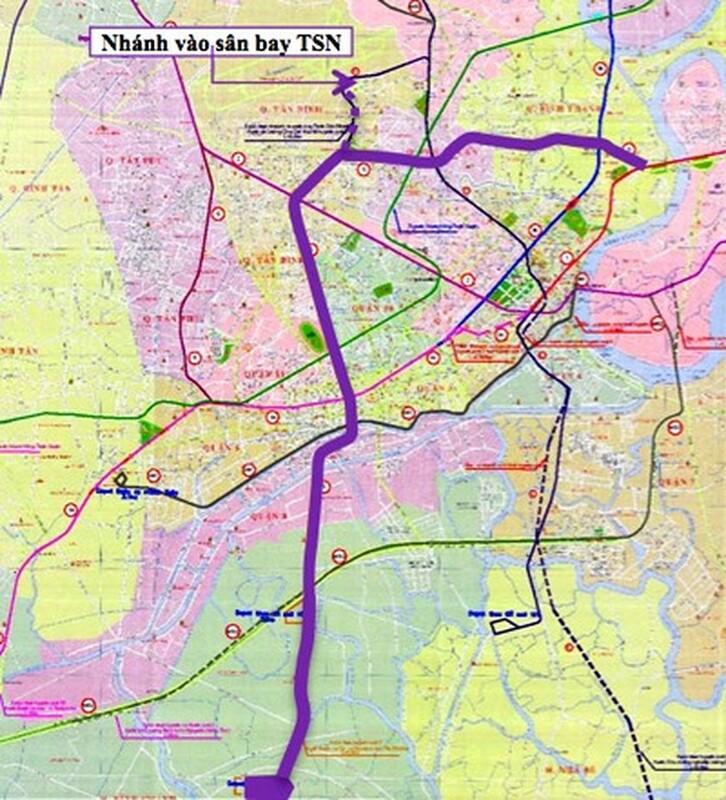 This new metro line will be connected with metro line No 5, which runs from Cộng Hòa Street in Tân Bình District to the airport to reduce traffic jams at the area around the airport. A preliminary report on the feasibility of the new metro line’s construction was finalised yesterday by consulting units from South Korea, according to the city’s Urban Railway Management Board. Two underground stations on two ends of the metro line will be located at the park and at the entrance of the airport’s international terminal. A walking tunnel will run from the station at the international terminal to the entrance of the domestic terminal. The project will be proposed to the Prime Minister during the first quarter of next year, and its feasibility report during the first quarter of 2018. The metro line’s construction will begin in the first quarter of 2019. Ninety per cent of the project is funded by the South Korean government ($224 million).